"Mark Granier’s Haunt unfolds in tender, observant gestures. There is much sadness here regarding personal memory, death, and a sense of generations passing. This makes for an elegiac collection but Granier’s elegies are not made of pieties. They are spiced with wit and live on their precisions. The sequences in the book are accumulations of what it is to be human, vulnerable, sharp-eyed and a part of things." 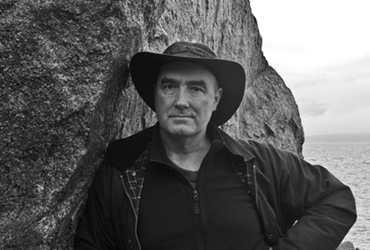 Mark Granier has published three previous collections of poetry, Airborne (Salmon, 2001), The Sky Road (Salmon, 2007) and Fade Street (Salt, 2010). His awards include the New Writer Poetry Prize, the Vincent Buckley Poetry Prize and a Patrick and Katherine Kavanagh Fellowship. Is a ghost any less ghost if it’s a dream? grey sides of your bald head slick with Brylcreem. and me to finally listen, and remember. to a hotel room high in The Windy City. It raises questions: who did the travelling, the grandfather or someone close enough to bother to send letters and postcards? Was the key a souvenier for the grandfather or did the grandfather actually stay in the hotel? It a way, it doesn’t matter. The point seems to be about the exploration of an unknown, unshared life. These were stories that were kept boxed away from the narrator which, if read in sequence with the title poem, adds a poignancy and extra urgency to those tales the ghost now needs to share with the narrator. the flagons empty, love itself gone flat. get peeled very slowly and Basho’s frog goes plop! The ‘meniscus’ could just as easily refer to the cochlear implant which picks up sound waves, converting them to electrical pulses to stimulate the ear drum which then ‘hears’ the sound as if it weren’t impaired. It’s not perfect but it does open or re-open a world of sound, particularly the small sounds such as the crunch of snow or crinkle of a plastic bag. 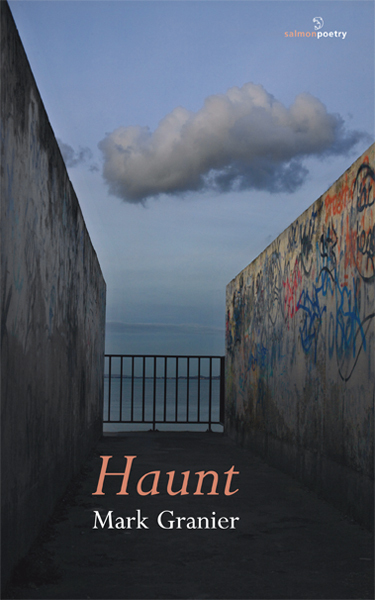 Haunt has an elegiac feel to it but the poems are infused with craft and, in places, wit and sharp observations. They share vulnerability and regret, showing what it is to be human. Although personal, the poems are not insular, the poet wants to share his experiences so readers can learn from them too. Emma Lee‘s most recent collection is Ghosts in the Desert (Indigo Dreams, 2015). She was a co-editor for the poetry anthology Over Land Over Sea: poems for those seeking refuge (Five Leaves, 2015). She reviews for The Journal, London Grip, Sabotage and The High Window and blogs at http://emmalee1.wordpress.com.